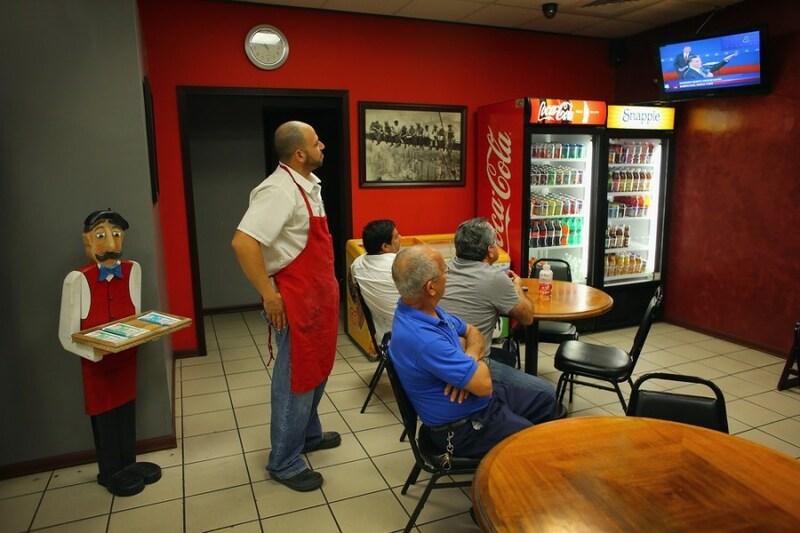 People watch the debate between President Barack Obama and Republican candidate Mitt Romney on television at Mamma Caruso's pizza restaurant in Miami, Florida on October 16, 2012. 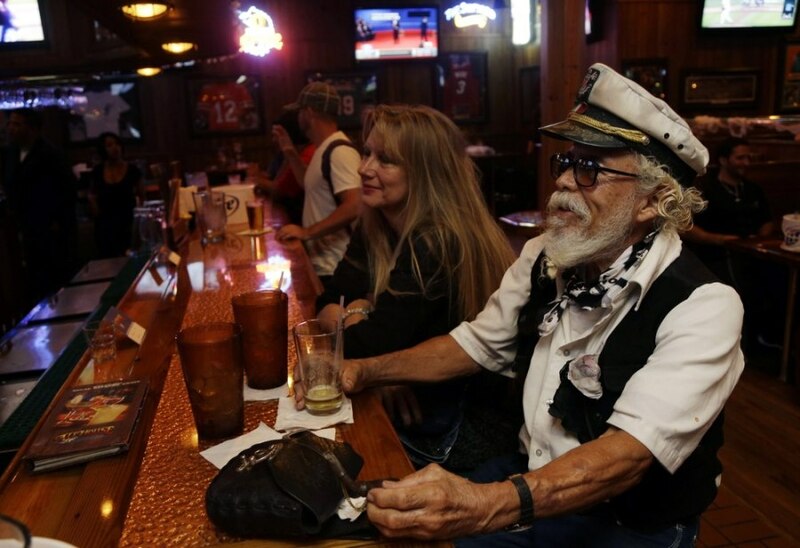 Roberto Francois Carranta of Miami, 84, a supporter of former Massachusetts Gov. 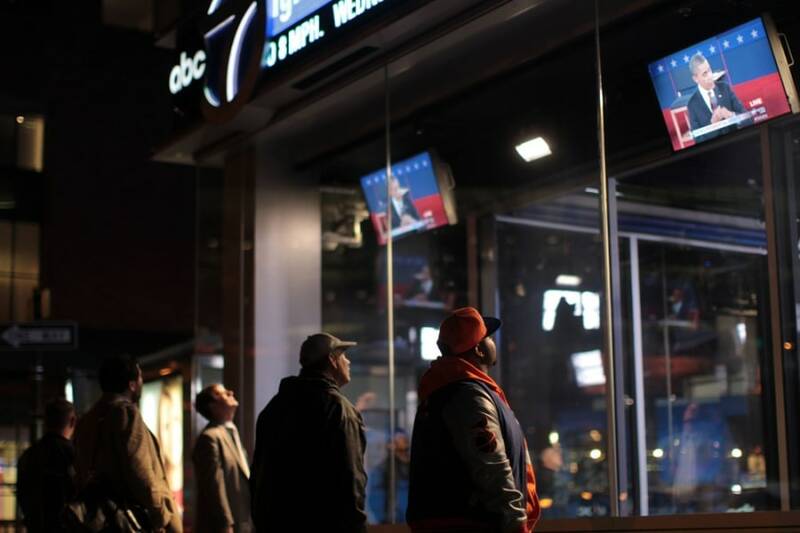 Mitt Romney, watches the debate in Coral Gables, Fla.
New Yorkers gather in Times Square to watch a live broadcast of the second of three Presidential debates. 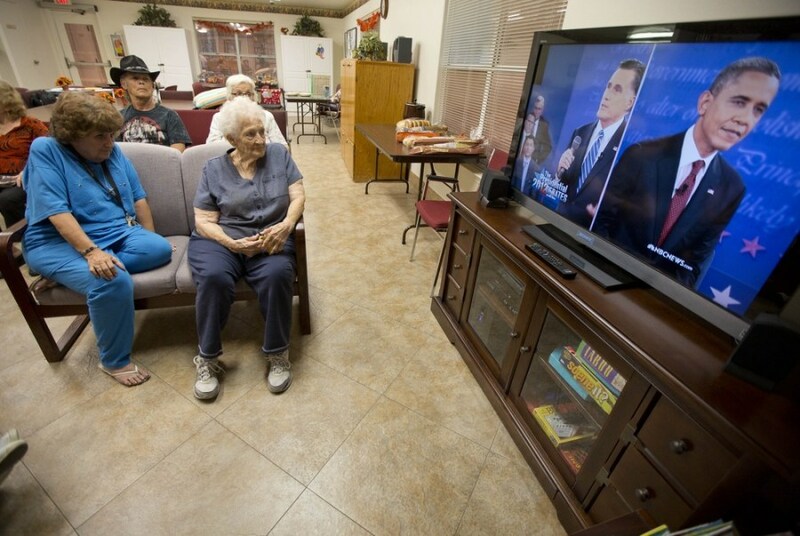 Residents of the Quail Ridge Manor independent living apartment complex in Boulder City, Nev. watch the presidential debate. Poll: Who won the second debate?